PHOENIX — Karen O’Donnell may have only met Muhammad Ali twice, but Ali’s efforts in the fight against Parkinson’s disease have been invaluable to her and her husband, John, who has suffered from the disease for 23 years. The O’Donnells are just one of the many families who have benefited from the work of the Muhammad Ali Parkinson Center at the Barrow Neurological Institute since its founding in 1997. 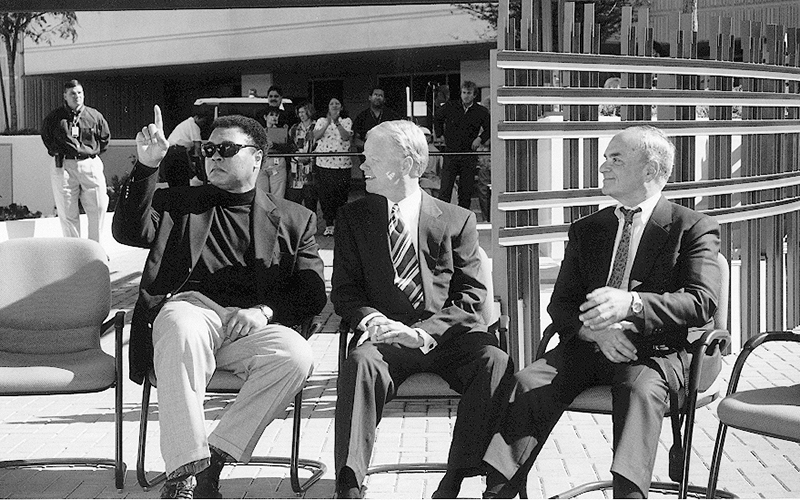 Ali and his wife, Lonnie, co-founded the center along with one of Ali’s physicians, Dr. Abraham Lieberman, who became its first director, and Jimmy Walker, the Arizona businessman who has run the Celebrity Fight Night event that has raised more than $20 million for the center. It moved to its current location at the Barrow Neurological Institute in 2009, serving as a leading resource for those with movement disorders. Ruby Rendon’s mother was diagnosed with Parkinson’s disease 10 years ago in Mexico. Rendon now volunteers three days a week at the center that bears Ali’s name. Ali not only gave his name to the center, he also received treatment there for the disease he fought for more than 30 years. 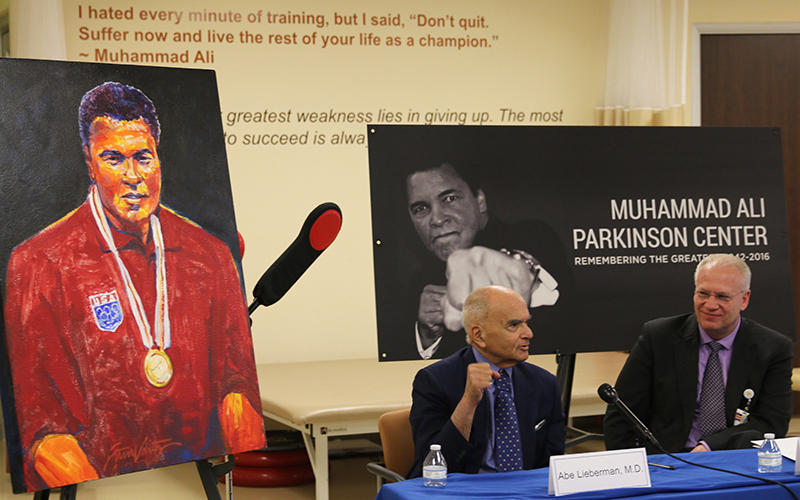 Dr. Holly Shill, director of the Muhammad Ali Parkinson Center, said Ali wanted everyone to have the opportunity for that same treatment, no matter what their background. While the search for a Parkinson’s cure continues, the center works to improve patients’ quality of life through resources such as physical therapy, support groups and dance classes. O’Donnell said Ali’s positive outlook helped give her and her husband strength in their own fight against the disease. Lieberman, a close friend of Ali’s in addition to being his doctor, said the fighter’s legacy will live for years to come. “I tell people, 100 years from now, no one is going to remember any of us, they’re going to remember Muhammad Ali,” he said.